Hello! 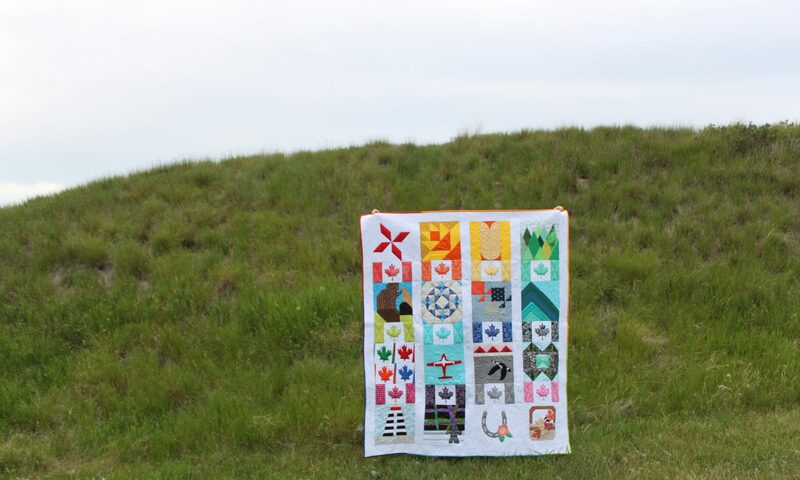 Welcome to the first bonus block of the Canadian Summer Quilt Along! This week’s bonus block is the Curved Pieced Wheat Quilt Block. There are a few bonus blocks because we wanted to give you some options. This bonus block is designed by Daydreams of Quilts (that’s me!) and is a curved pieced block representing the head of a shaft of wheat in homage to our many Canadian grain farmers. Anita’s curved piece wheat block for the first bonus block of the Canadian Summer Quilt Along. There is a link in the PDF pattern for this block to my curved piecing tutorial on YouTube. I hope you enjoy and have fun making this bonus block! To enter to win a copy of my ebook “A Year of Pixel Heart Quilts” post your Curved Pieced Wheat block in the Instagram hashtag #canadiansummerqal before the next bonus block comes out on June 21st. Visit the main Canadian Summer Quilt Along page for the quilt along schedule and list of prizes and sponsors.